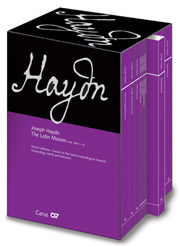 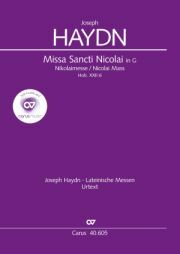 The popular “Nicolai Mass” by Haydn is both diverse and traditional. 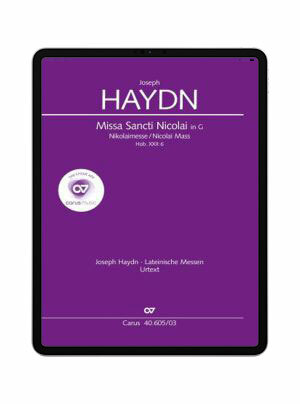 Haydn conveys this exhilarating jubilance through numerous wide leaps, in particular sixths and octaves, that the chorister has to hear well in order to reach the high notes correctly (the soprano has to sing up to B2). 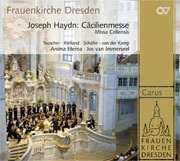 With its syncopated counterpoint, the short, virtuosic Amen fugue in the "Gloria" requires a firm sense of rhythm – good that one can hear this slowly using the app!